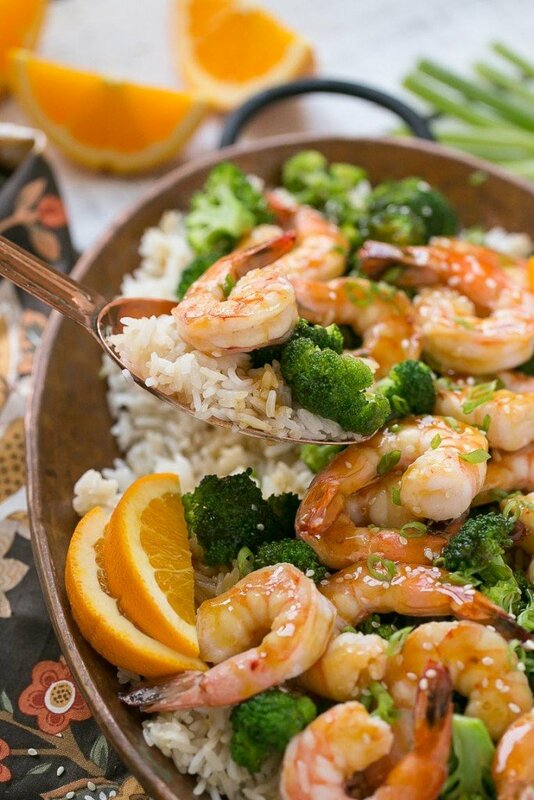 This orange shrimp and broccoli with garlic sesame fried rice is the perfect quick and easy meal for a busy weeknight or for entertaining guests. The sweet and tangy orange sauce only has 4 ingredients and the garlic sesame fried rice elevates the dish into something special. I love a good stir fry, and this easy shrimp and broccoli just can’t be beat! It’s a complete meal that’s ready in no time. Someone told me the other day that there are only 10 weekends until Christmas, can you even believe that? With our crazy warm weather it feels like it’s still summer here in California! I guess it’s time to start thinking about the holidays, hopefully the weather will follow suit sometime soon. When I think of the holidays two things come to mind: food and family. My mom and I make the Thanksgiving and winter holiday feasts together each year. We are usually so consumed by our cooking to-do lists that when our out-of-town guests arrive we order take out for dinner to feed everyone. That is all going to change this year with this orange shrimp and broccoli with garlic sesame fried rice. How do you make orange shrimp? This recipe could not be simpler to put together – with just a handful of ingredients you can put together a delicious meal to feed your out-of-town guests in less time than it would take you to get in the car and drive to a restaurant to pick up take out. I often find that the meals leading up to the big event are sometimes even more memorable than the holiday itself – everyone is happy to see each other and the atmosphere is casual and relaxed. For this recipe you’re going to need some shrimp, broccoli and rice. I like to use Mahatma Rice in my cooking – it comes in a number of varieties, tastes great and always cooks up perfectly fluffy. 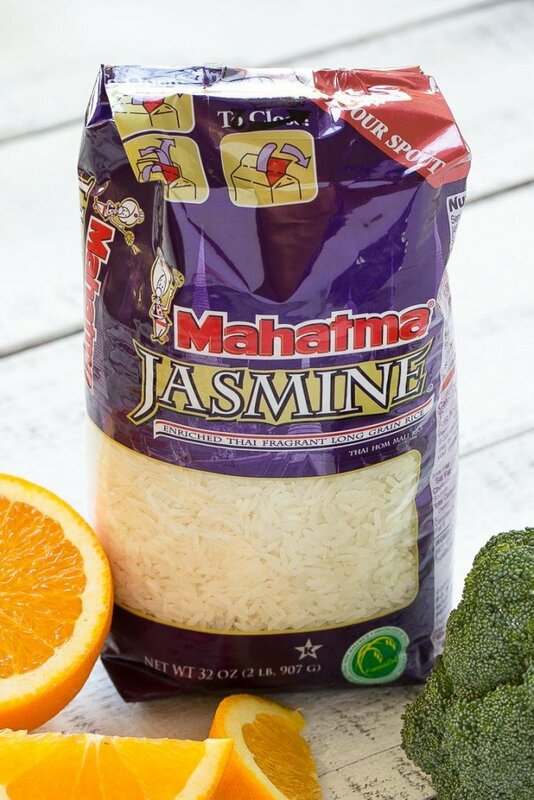 In this case I chose Mahatma Jasmine Rice, it’s more aromatic than a typical long grain rice which adds a lot of flavor to this dish. The first step in this recipe is to get the rice going. 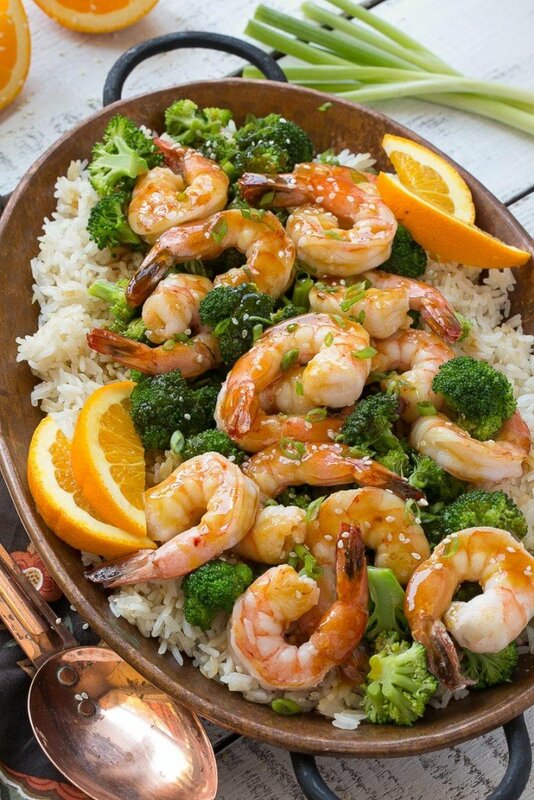 While the rice is cooking the shrimp and broccoli are cooked and then tossed in the orange sauce. The steamed rice gets quickly pan fried with a generous amount of garlic and sesame and dinner is served! My family loved this dish and I can’t wait to make it for all of our extended family members when they travel here for Thanksgiving. The shrimp and broccoli stir fry is great on its own but it really becomes something special and company worthy when you serve it with Mahatma Jasmine Rice. You can easily double or triple this recipe if you’re feeding a big crowd, and everyone will be appreciative that you’ve served them a home cooked meal. This post is sponsored by Mahatma Rice, all opinions are my own. Thank you for supporting the brands that make Dinner at the Zoo possible! 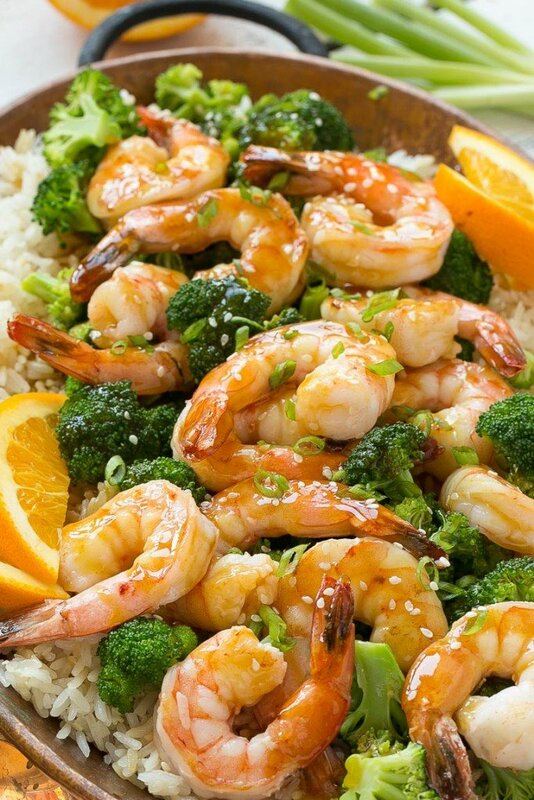 Shrimp and broccoli in a sweet and tangy orange sauce, served with garlic sesame fried rice. In a medium pot, place 3 cups of water and 1 and 1/4 teaspoons of salt. Bring the water to a boil, then add 2 cups of Mahatma Jasmine Rice. Bring the water back to a boil then turn the heat to low, cover the pot and let it simmer for 15 minutes. Remove the cover and fluff the rice with a fork. While the rice is cooking, heat a large pan over medium high. Add the broccoli to the pan along with 2 tablespoons of water; cook for 3-5 minutes or until broccoli is tender. Season the broccoli with salt and pepper to taste and then remove it from the pan and set aside. Wipe out the pan with a paper towel and return it to medium high heat. Add the 2 teaspoons of vegetable oil; after the oil is hot add the shrimp in a single layer and season to taste with salt and pepper. Cook the shrimp for 2-3 minutes per side or until pink and opaque. Remove the shrimp from the pan and set aside. Wipe out the pan with a paper towel and add the orange juice, soy sauce and sugar. Bring to a boil and cook until the mixture has reduced by half and is starting to turn syrupy. Mix 1 teaspoon of cornstarch with 2 teaspoons of cold water and add the mixture to the pan. Boil for 1-2 minutes or until sauce has thickened. Pour the sauce over the shrimp and broccoli and cover with foil to keep warm. To make the fried rice heat 1 teaspoon of vegetable oil in a large pan over medium heat. Add the garlic and cook for 1 minute - be careful to not let the garlic burn. Add the rice, sesame oil and sesame seeds to the pan and cook, stirring often, for 5 minutes. Add salt and pepper to taste. 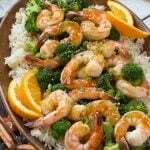 To serve: place the rice on a platter and top with the shrimp and broccoli mixture. Garnish with the sliced green onions and 2 teaspoons of sesame seeds. Serve immediately. I love the combination of Fried Rice and Shrimps! I make a different version of this recipe, but this one looks so good with all the additional ingredients. Will definitely try it out! Love this orange shrimp. Absolutely delish! I can’t wait to make it again. I have never bought sesame oil and unless I made this every week all year long it would probably go to waste. Is there anything else I can substitute with? Thank you Sara. I appreciate your reply. It’s not recommended to re-freeze shrimp after they’ve been thawed and cooked. If you’re using fresh shrimp it should be fine. I don’t know how to cook.Tried it.great flavours, will do it again. The only bad thing, did the step by step recipe, didn’t come out ok. The rice got sticky, and i almost burnt the broccoli. Added more water to both, worked. Glad you liked it! I’m not sure why it didn’t work as written, I will read through the recipe again to see if I can add any clarification. 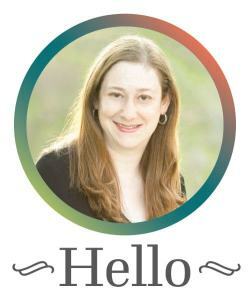 Thanks for reporting back! Love everything about this dish and can’t wait to try it! Gorgeous pictures! I’m with you on the warm weather! Phoenix is only just starting to cool down, but no where near coat weather yet. But then again, that’s why I love living here 😀 Also loving this dish… I’m a sucker for anything with shrimp. And your girls are just precious! Looks so good love the addition of Broccoli! Oh my … I am a huge fan of Chinese take-out, but I’m not a fan of the horrible bloat that comes with it so we never get it. Now that I can make this recipe? Problem solved! Pinning for later! Oh I love the flavors in this dish. There is always room for new yummy and easy recipes in my menu! It’s been pretty warm in TN too! I’m ready for the cool days to come but not the frigid winter. Can I just say that your orange sauce sounds Ah-Mazing?! I can’t wait to try this dish!